Katora Lake which mean in Pashto bowl like in shape and is being named due to its appearance. 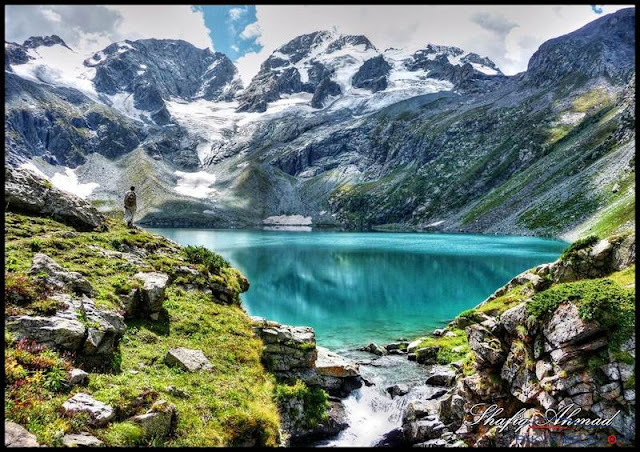 It is an alpine glacial lake located in both the upper reaches of Jahaz banda, Kumrat valley Upper Dir, and Utror Gabral Swat in Khyber Pakhtunkhwa Province. The lake is fed by the surrounding melting glacier waters. It is one of the most beautiful lake in the region and visited by adventurous hikers every year in the summer season. Katora Lake (also called Jaz Dand) is situated in Lamoti region of Kumrat valley, Upper Dir, Khyber Pakhtunkhwa Province, of Pakistan at an elevation of 11,500 ft approximately from the sea level. 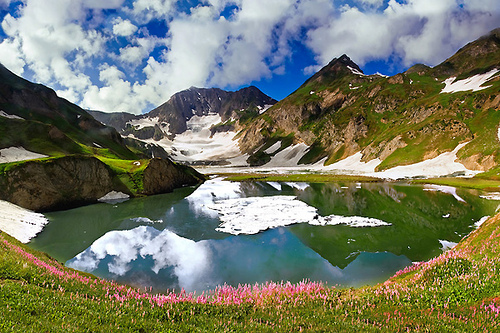 The lake is surrounded by snow clad high mountains and pristine flowers of diverse species have covered its margins. The trail to this lake is a memorable, as one comes across lush green forests, fragrant flowers and crystal clear springs and gushing waterfalls. The only sound which one hears is either the screeching of your jogging shoes or birds. It is located in such a far-flung area where permanent human living is very tough and next to impossible. To one side, the face of the lake is open and the shimmering water of the lake spill out, in the form of an attractive foamy waterfall which creates an amazing scenario. The best season to visit is August/September however June or July is also good but do expect random showers due to monsoon. The lake can be accessed from Upper Dir Kumrat valley. 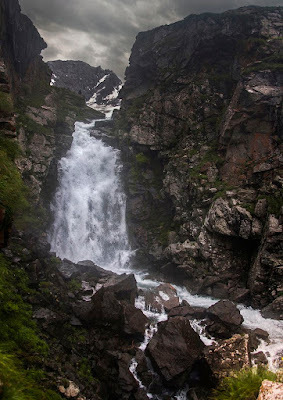 From Swat side it can be accessed on the way from Utror, Gabral to Upper Dir Kumrat valley, it takes almost 5 hours to reach base camp of the lake in Jandrai (also pronounced as Zhandrai). One has to leave the road (as there is none after this point) and start trekking towards Jahaz Banda, and takes 3 hours of trekking under dense forests to reach Jahaz Banda. One can stay there for one night and then trek towards the Lake and reach there in almost 2 hours.